Australia’s second-oldest city and southernmost capital, Hobart’s rich colonial heritage is evident in its natural charms and beautiful sandstone buildings. Rising high above the city is Mt Wellington, a wild and rugged monolith perfect for mountain and bushwalking. Stretched out below the mountain, the Derwent River is a vital link to Hobart’s maritime past. Every February the Royal Hobart Regatta fills the historical expanse of water with boats of all kinds, and sailing on graceful tall ships is possible year-round. The mainland attitude to Hobart has now shifted from curious to delight, with investors recognising that Tassie’s clean water, fresh air, stress-free pace and cool climate are precious commodities. Tasmania has four distinct seasons none of which suffer from extremes in climate making it an ideal place to enjoy winter snow on the highlands to sunbathing safely on the beaches in summer. History is a big part of Hobart’s attractiveness to the visitor with many of the most photographed landmarks being the Georgian warehouses along the waterfront together with the well preserved colonial district of Battery Point. A university and casino are further along the river on Sandy Bay. To the north of the city is the area known as North Hobart, a rich collection of shops and cafes. The five lane Tasman Bridge crosses the Derwent River and is an attraction in itself, having suffered a partial collapse in 1975 when an ore carrying ship collided with the pylons sinking the vessel and killing 12 people. Today the bridge is a popular attraction for the novice and professional photographer alike. Only a short walk from the bridge are The Royal Tasmanian Botanical Gardens. The gardens are located on the city side of the Tasman Bridge adjacent to Government House. The sheltered, landscaped grounds of the Royal Tasmanian Botanical Gardens hold historic plant collections and a large number of significant trees, many dating from the nineteenth century. It also has an increasing number of important conservation collections of Tasmanian plants and the world’s only Sub antarctic Plant House. You should allow a couple of hours on a sunny day to visit the gardens and be sure to take your camera. Whether you are planning a four week tour of the state of Tasmania or just a few days in Hobart, the ideal time for travel is during late spring to early autumn. 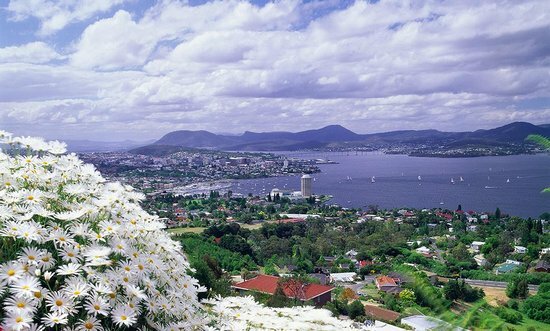 Hobart’s temperature averages between 17 to 23 degrees with approximately 15.2 hours of sunshine in summer making the city an ideal base for exploring south eastern Tasmania. Hobart is a great location for visitors to initially base themselves to explore Tasmania’s many attractions. In terms of tours one of the most popular tours in Tasmania has to be the Port Arthur Ghost Tour. 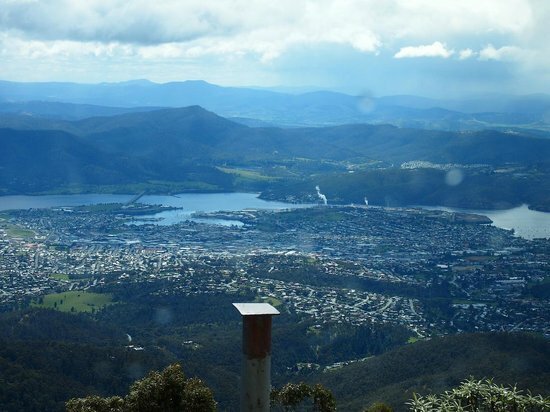 Other popular tours that commence from Hobart include visiting Mount Wellington and the local wineries. The prospect of cycling downhill from the Mt Wellington summit on a mountain bike is hard to resist; not much peddling, but plenty of braking. If you are interested in a day trip teeming with local and national history, just two hours out of Hobart is Port Arthur. The port is best known as a harsh and brutal penal colony for mainland convicts who had re-offended. The historic site includes 30 buildings (some in ruins), restored period homes and heritage landscaped gardens to explore and investigate. 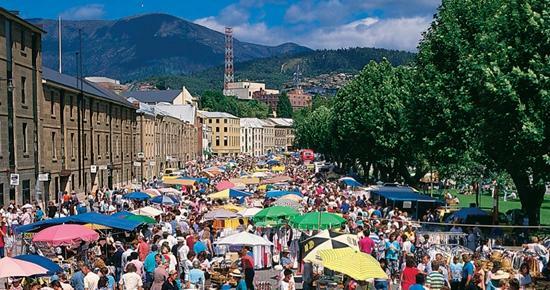 Definitely include a Saturday in your travel plans, so that you don’t miss out on the Salamanca Market. This market is held along the historic waterfront of Salamanca Place, considered the lifestyle precinct of Hobart where the more stylish galleries, theaters, cafes, craft shops and restaurants are located. The Market itself is celebrated as one of Australia’s biggest and most popular outdoor markets featuring hundreds of stalls and vendors selling arts, crafts, flowers, clothing, food, books, music and local fruit and vegetables. To keep the bustling crowd entertained buskers of all musical variations perform throughout the day. Many who haven’t visited Tasmania are quick to point out that Hobart and the rest of the island is considered colder than other parts of Australia. Well, it is worth noting that Hobart is considered the second driest capital city in Australia, so whilst it may be considered colder, it is often drier. 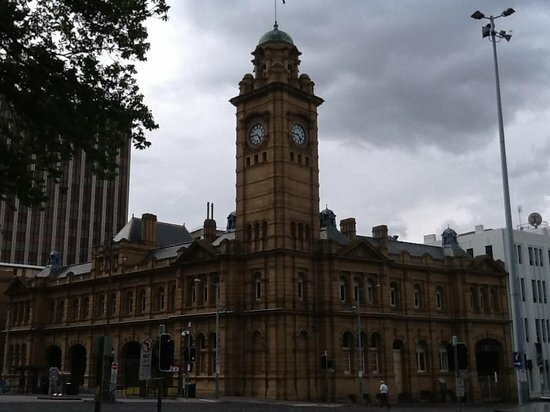 Hobart is a truly wonderful city that offers so much in terms of history. Must do’s are enjoying the views from Mt Wellington Summit, cycling down on a mountain bike, visiting the nearby Cadbury’s Chocolate Factory, experiencing the Salamanca Markets on Saturdays, visiting Bonorong Wildlife Park and hearing firsthand about the plight of the Tasmania Devils and of course seeing them in their native state of Tasmania. A trip to Richmond, a Georgian style village which is not far from Hobart, a day trip to Port Arthur is also essential as is Russell Falls and Huon Valley and so many, many other activities, attractions and tours. Hobart offers tourist accommodation from hostels, hotels, and motels, to campsites and bed and breakfasts. There are a number of places to stay around Hobart, with the most popular being Battery Point, Glebe, New Town, North Hobart, Sandy Bay and West Hobart. Here you will find campsites, hotels and motels with a range of hostels and hotels in the city centre. New Norfolk is the main Derwent Valley town of is located on the Lyell Highway which is the main east-west highway in the southern half of the state, running from Hobart to Strahan on the west coast. It is in fact the only east-west road in the southern half of Tasmania. It is 32 km north-west of Hobart on the Lyell Highway and has all modern facilities while preserving its pioneer heritage. Two fine examples are Tasmania’s oldest Anglican church Saint Matthews, built in 1823, and Australia’s oldest hotel The Bush Inn Hotel, trading continuously in the same building since 1815, using the same continuous license issued on 29 September 1825. Many private homes from the 1820s and later have also survived. Huonville is a town on the Huon River, in the south-east of Tasmania, Australia. The town lies within the Huon Valley Council area. It lies 38 km south of Hobart on the Huon Highway The first Europeans to set eyes on the Huon River were the crew commanded by Admiral Bruni d’Entrecasteaux. The river was named by him in honour of his second in command, Captain Huon de Kermadec. The name is preserved today in many features: the town, the river, the district and so on. The first European settlers were William and Thomas Walton in 1840. Huonville was not originally intended as the site of a town. Nearby Ranelagh was laid out as the town of Victoria in colonial days. Huonville grew around the bridge crossing the Huon River and hotels at the bridge. Today the Huon Valley is best known as one of Tasmania’s primary apple growing areas. Once enormous in its extent, the significance of the industry has declined steadily since the 1950s and 60s when Paul first visited Tasmania on a Port Line ship to load apples for the UK. Today cherries and fish farming are the rising commercial stars of the district. Arguably Tasmania’s most important historic town, Richmond is one of the state’s most popular destinations, the perfect base for exploring Tasmania’s South East. Historic, romantic, family friendly, a hub for food and wine lovers with its fresh food and fine wines, grown in fertile soils under the world’s cleanest air. Good examples of Tasmania’s stark convict heritage and beautiful historic buildings. The town is as elegant today as it was in the 1820’s, when it was an important military staging post and convict station linking Hobart with Port Arthur. Nestled in the Coal River Valley, this classified historic town is famous for its Georgian architecture. The stone buildings now house galleries, teashops, craft boutiques and museums, offering every convenience and luxury to the modern visitor. Kingston pop 13,000 is the largest town in the Kingborough municipality, located south of Hobart. Kingston is the home of the Australian Antarctic Division’s research facilities. The centre also provides support to the field stations in Antarctica. There are public displays of historic items and photographs from Antarctic expeditions, and informational material about Antarctic wildlife. From the Brown’s River area, it is possible to walk north from Kingston along the Alum Cliffs to Taroona. The Browns River also offers fishing and a good space for dog exercising. Near where the river flows into D’Entrecasteaux Channel is Kingston Beach, an attractive swimming area. The Kingston Beach Golf Course is recognised as one of the best in the country, with certain holes being picked as favourites by international players. Click on the “Contact Us” tab on the left of the page to contact us. If you would like to join our Forums click here and register. Then you can have your say.